Rental Machine in Pirate's Cove! Beautifully maintained large 3 bedroom 3 bath condo with incredible views of the canal and marsh with a 32' boat slip at your back door! This well maintained canalfront 3 bedroom, 3 bath, 1,833 HSF, is open concept condo has a townhouse feel with no one above or below you offers two spacious ensuite master bedrooms with incredible views. The condo has 2 carport parking spaces underneath. Plenty of room to spread out with multiple decks for entertaining. The open floor plan is bright and cheerful with an abundance of windows and high cathedral ceilings. The kitchen has a large pass through window that opens up into the dining/living space, letting the chef stay part of the action. SOLD FURNISHED (some exclusions apply-see list) this CANALFRONT TOWNHOUSE DESIGN CONDO HAS TWO UNDERNEATH RESERVED PARKING SPACES. This is an excellent opportunity perfect for a family or investment. Fabulous rental history with many repeat guest. The townhouse has three decks, with a private deck area on the canal with seating for entertainment. An easy walk to Blue Water Grill Restaurant, Tiki Bar Hut, Pool, Club House, Playground and Tennis Courts. Upgrades include retiled Kitchen, Living/Dining area, Laundry, Foyer, and Guest Bath; Retiled in both master & upstairs bath/showers (also rebuilt tiled window ledges); Retiled upstairs master bathroom floor; New high-end signature series ceiling fans in Living/Dining area; HVAC replaced 2012; New carpet throughout 2016; Updated fireplace and ready for ventless gas logs; Replaced windows in kitchen, downstairs master bedroom, upstairs master bedroom, and tramsom windows in loft; Painted living/dining area fall 2016; New paint in master bath; Built security/safety gates on front & back decks. Pirate's Cove is a gated community which has two private pools, tennis courts, playground, Tiki Bar, Blue Water Grill & Raw Bar, World Class Marina & Pavilion, fitness center, and clubhouse. Spectacular townhouse in an excellent location. 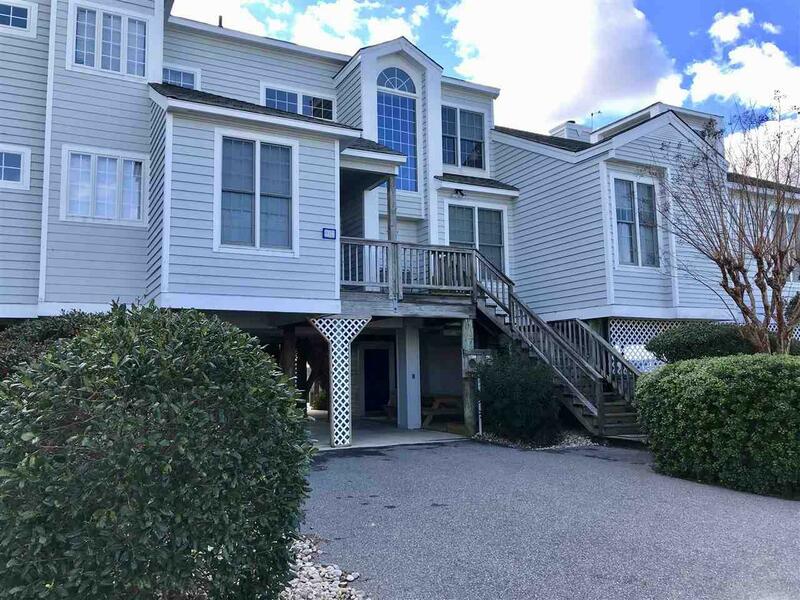 Close to shopping, restaurants, Jeanette's Pier, beach access, and downtown Manteo. It is a short 5 minute drive to the the beach or historic downtown Manteo. At $325,000 it is priced to sell! Where else can you get this much for this price? About the Marina: Pirate's Cove Marina is a protected, deep water, full service marina with 195 slips and a charter fleet of 21 sport fish boats for offshore, nearshore and inlet fishing. It is one of the largest world class marinas on the East Coast with a high level of experienced charter sport fishing captains and crew. Pirate's Cove Marina is approximately eight miles inside and north of Oregon Inlet via a deepwater, well marked channel. The fixed bridge clearance of the Manteo/Nags Head causeway is 65 feet at mean high tide.